The best baseball bats on the market right now are the BBCOR models, which have been certified by the National Federation of State High School Associations (NFHS) and National Collegiate Athletic Association (NCAA) for use in their competitions. However, these bats are generally quite expensive, and so we’ve included a few cheaper bats for the casual player in this list as well. Finally there are youth baseball bats, designed for children who are not yet playing at a high school level. These bats are smaller and lighter (having lower drop values) to ensure that the younger player can perfect their technique before advancing to the big league. For aspiring professional players currently in high school or college, BBCOR accredited bats are the best bet for optimum performance. We’ve reviewed 3 of the best BBCOR bats based on value for money on the market right now. Easton has really cemented their reputation as the market leader in BBCOR bats in recent years. The aircraft-grade alloy and balanced weight distribution allows for fast swing speed even for less physically-gifted players. Easton offers a 1-year warranty to back up the durability of the bat, resulting in a club that is great value for money considering its price. Remember this bat is on the heavier side, having a -3 length to weight ratio or “drop,” so it’s not a recommended choice for younger children below age 10. This bat is essentially the more expensive version of the S500, however you certainly get bang for your buck. Easton’s signature Mako composite technology combined with a balanced barrel load ensures a lightning-fast swing speed. To prevent grip issues, Easton developed the Hyperskin technology for a softer, more comfortable experience when holding the bat. The -3 drop factor plus the massive sweet spot means that this bat has incredible pop for its price. Strong, balanced feel resulting in nice pop. Once again we can hardly fault this bat. Looking for the best baseball bat on the market in terms of build quality? Look no further. The technology crammed into this bat is quite astonishing. To be honest, we don’t know exactly what Marucci’s engineers have done, but the end result is a phenomenal bat that feels like a natural extension of your arm. Anti-vibration technology and a “harmonic dampening” system makes hitting feel almost effortless, the massive pop enhanced by the large sweet spot. The balanced weight profile and barrel thickness have been engineered specifically to improve balance and ensure optimal swing speeds. Feels really nice to play with – little vibration. Love the white/red color scheme. 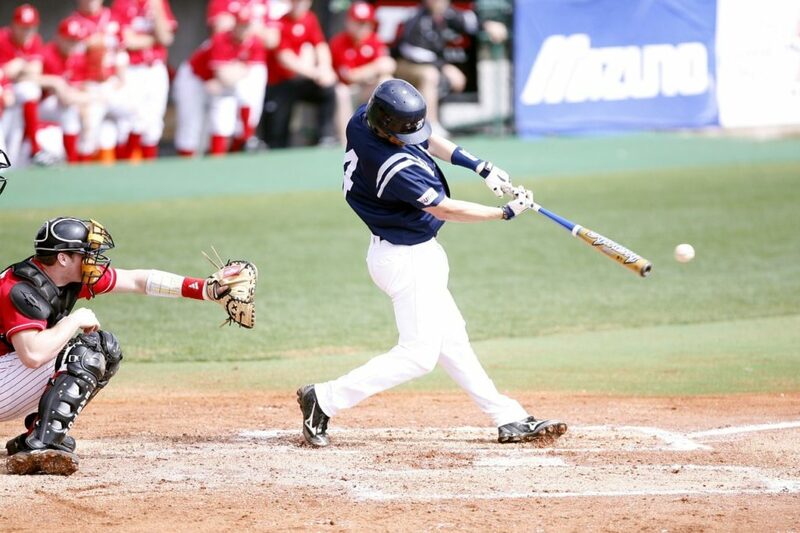 The adult bats with -3 drop are generally appropriate for high school players needing a BBCOR bat. However, younger kids will prefer a lighter bat in order to hone their technique without having to worry so much about the weight. Plus, these smaller bats are often cheaper than the professional BBCOR models. Easton’s youth bats are also some of the best baseball bats on the market. The S50 has a balanced weight profile and large sweet spot distribution for maximum distance on hits. This bat is a great option for younger children in particular, as it is available in 17, 18, 19 or 20 ounces. Like Easton’s adult products this bat comes with a 1-year warranty against cracking, denting and breaking in general. Slightly expensive for a youth bat. The first genuine wooden bat on this list! Louisville Slugger has chosen to use ash for greater flexibility, giving a larger sweet spot and greater pop. This bat is available from 24 up to 28 ounces, making it a good choice for 8-12 year olds. Unfortunately ‘Slugger don’t offer a warranty beyond the regular guarantee regarding manufacturer defects. 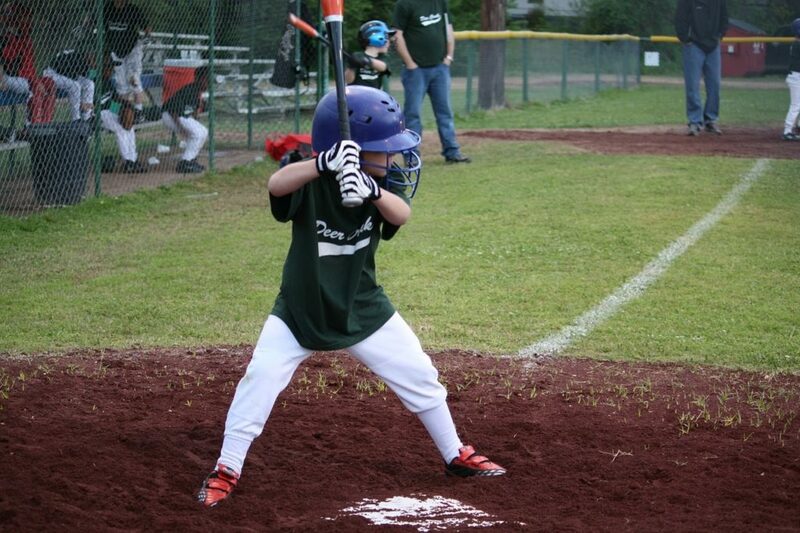 However, this bat is cheaper and slightly more durable than Easton’s youth option. Fortunately for the younger players out there, Easton makes a youth version of its high-performance Mako comp bat which is certified for Little League play. This smaller version has all the benefits of the adult model, including ConneXion composite technology to maximize energy transfer. At the same time, it has a drop factor of -11, making it an ideal tool for children to hone their hitting skills without being restricted by the weight of the bat. As with all of Easton’s premium offerings, the only real drawback to this bat is its price. However, you get what you pay for – including the peace of mind that comes with a 1-year manufacturer’s warranty. Packed with technology to maximize hit distance. Ultra-thin handle with Hyperskin grip. Price – quite expensive for a youth bat. Don’t really need a BBCOR-accredited bat? Looking for something for casual play in the park or even a bat for self-defense? Check out 3 of the best baseball bats for regular use. Although this bat isn’t actually made of steel, it might as well be. Built with nearly indestructible polypropylene, Cold Steel say that their bat will never fade, split or rot. Police batons use this stuff, so you know it’s going to be tough. Coming in at 34 inches, this bat is ideal for casual play as it simply isn’t affected by weather conditions. Just rinse it with water and continue playing – no fancy wood oil necessary. Perfect for coaches or casual players. No fancy technology – but this isn’t a bad thing for the regular player. Want something with that classic hardwood look for training or casual play? ‘Slugger’s 3X Ash variety is an excellent choice, in large part due to its very reasonable price. It also comes in 32, 33 and 34 inch length measurements, allowing you to buy a bat that’s most suited to your individual needs in terms of reach and weight. Unlike Easton and Cold Steel bats, Louisville Slugger does not offer a warranty on this product. However, the cost saving makes up for this slight downside. So much choice! Ultimately the best baseball bat for you will depend on your needs. If you (or your child) is a serious competitor, it’s worth paying more for a more durable bat with greater pop (greater distance on hits). On the other hand, if you’re looking for a training bat or something for self-defense, a cheaper option such as the Brooklyn Smasher is your best bet. Hopefully you found this guide useful! Please let us know in the comments if there’s a bat we’ve missed, or if you want us to look at a certain product.